Kim Lord is an avant-garde figure, feminist icon, and agent provocateur in the L.A. art scene. Her groundbreaking new exhibition Still Lives is comprised of self-portraits depicting herself as famous, murdered women―the Black Dahlia, Chandra Levy, Nicole Brown Simpson, among many others―and the works are as compelling as they are disturbing, implicating a culture that is too accustomed to violence against women. As the city’s richest art patrons pour into the Rocque Museum’s opening night, all the staff, including editor Maggie Richter, hope the event will be enough to save the historic institution’s flailing finances. Except Kim Lord never shows up to her own gala. Fear mounts as the hours and days drag on and Lord remains missing. Suspicion falls on the up-and-coming gallerist Greg Shaw Ferguson, who happens to be Maggie’s ex. A rogue’s gallery of eccentric art world figures could also have motive for the act, and as Maggie gets drawn into her own investigation of Lord’s disappearance, she’ll come to suspect all of those closest to her. First off, this cover is unbelievably stunning! And second, it’s a mystery with a centralized theme of art…SOLD. A feminist and artist Kim Lord is putting out a provocative new exhibition at LA’s Rocque Museum called STILL LIVES. It is a series of chilling, grisly, and eerie self-portraits paintings of the artist posing as famous murdered women, such as Nicole Brown Simpson and the Black Dahlia. Kim is known for being edgy, controversial, but nobody expected her not to show up for her own opening night. As more time passes, the gallery grows concerned, even museum editor, Maggie Richter who is not exactly a fan of Kim. The main suspect is the museum’s gallerist Greg Shaw Ferguson, who happens to be Maggie’s ex and Kim’s current boyfriend. I’ve always been fascinated by stories that involve the art world and this novel nails it. A behind-the-scenes look at the LA art scene while unraveling clues in an ultra-complex mystery makes for a very compelling read. The underlying theme of the world’s macabre obsession with the exploitation of violence against women is genius and Hummel encapsulates it perfectly. Maggie is a very relatable character that I was completely invested in wanting her to succeed and enjoy life. 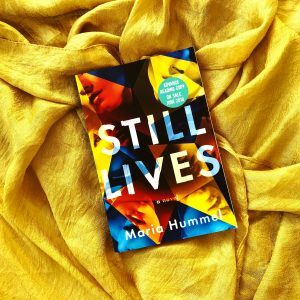 Hummel is subtle in her writing, a keen observer, and I loved her exquisite use of words. 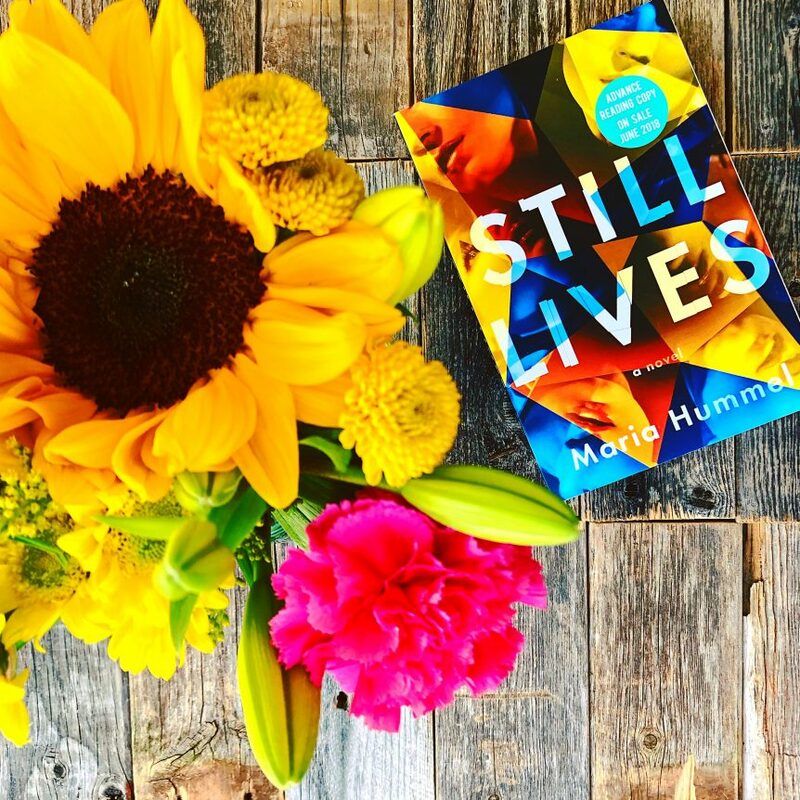 STILL LIVES is a beautifully executed literary mystery with vivid descriptions and an impactful ending.